Its finished! My Satyr hat from Storied yarns! 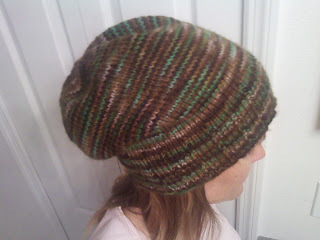 This is my Simple Slouchy Hat in the Satyr colorway from storied yarns! I just love the colors! 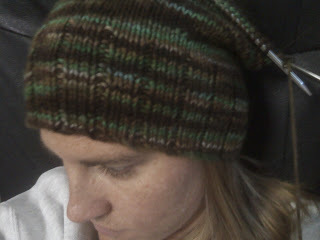 I hope to finish this hat by Saturday! So i can wear it! 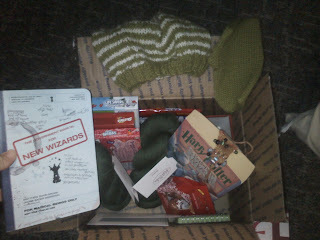 My Harry Potter Kit is Here! 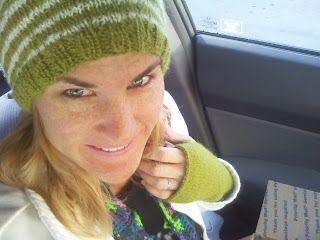 I ripped open my package in my car from Genevra Dreamy this is her blog ., wishing I had tinted windows because I was elated with excitement! I put this wonderful hat on right away, which is made of Alpaca (my favorite yarn!) It is also made with my favorite color and my house color ...Slytherin! Genevra's knitting was perfect. I love how it fits. I was checking everything out then found my fingerless gloves! 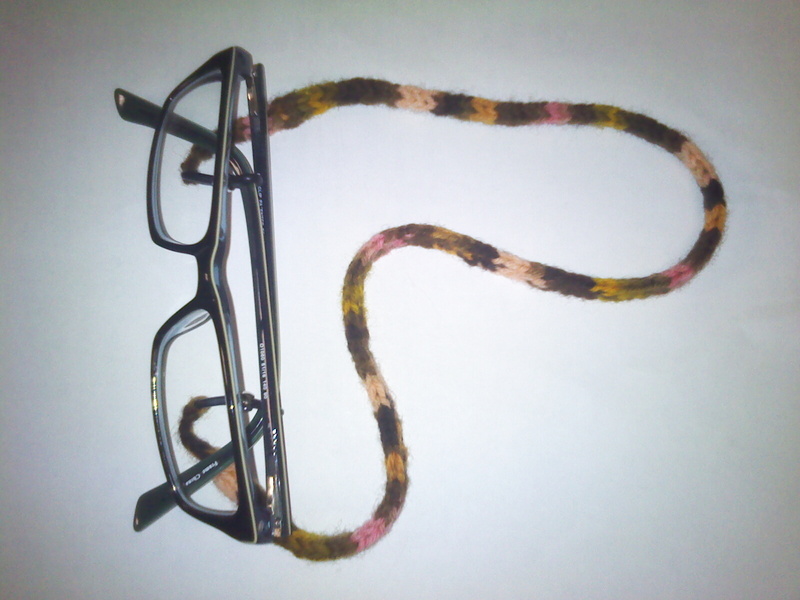 My first crocheted pair! I must say I haven't crocheted in awhile and these gloves make me want to make some! Did I say I was really excited! I wore this hat at work today even though it was in the 80's. I got some looks, but I didn't care! 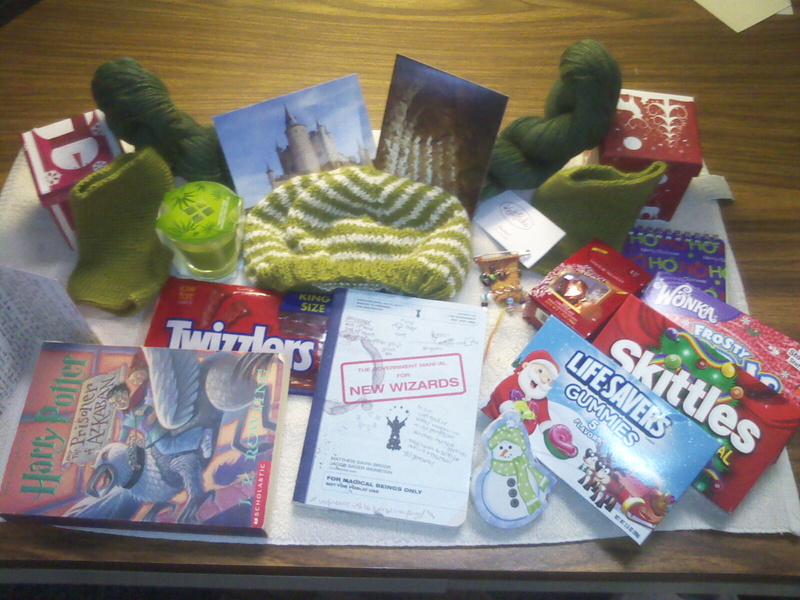 I sorted out the box a little here it is before I set everything out! 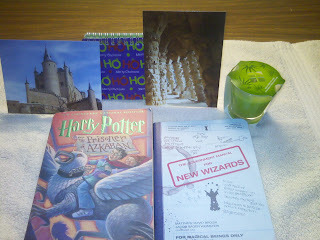 One of the boxes had a (Green) candle in it. I love candles! 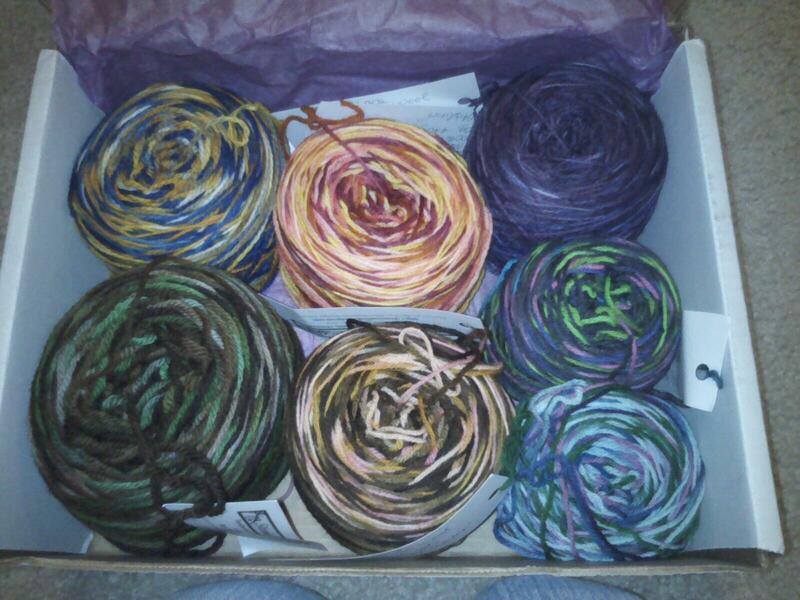 The other box had my gloves in it along with the beautiful Stitch markers. I must learn how to make them because I have seen some amazing markers and they add bling to your knitting! I love them! 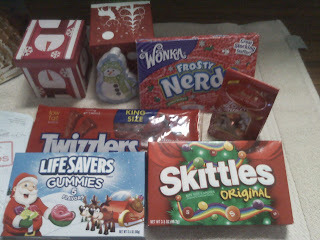 Then there is the candy. Which by the way the boys went crazy over! They couldn't figure out how Genevra knew what they liked! My son wants to play go fish with the cards shaped like the snowman. I also received a note pad. I love those and am always in a need for one. I had a Truffle after lunch today. It was AWESOME! I also snacked on my all time favorite snack Twizzlers! I would rather my Barry bring me home Twizzlers before flowers any day. That's how much I love those! My first ever Harry Potter Book! I have read these books from the Library, but now I can read this one whenever I want! With this being my first Harry Potter Swap this next item was perfect. It is the Government Manual for New Wizards. I am ready to be schooled! Inside this book were pictures to remind myself of Hogwarts. 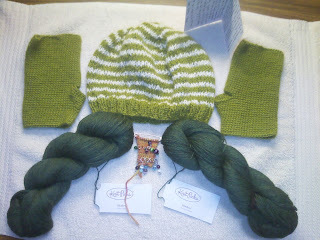 This swap gave me the opportunity to feel Knit Picks yarn. 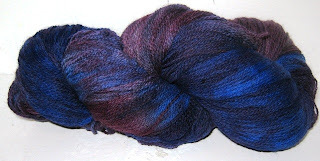 I ordered some for the person I spoiled and I have 2 skeins of Shadow Forest Heather lace weight Merino wool here. It is very soft and It's GREEN! She also gave me 2 shawl patterns Brandywine and Abrazo They are both really nice shawls! I really like the shapes of them. They are different than some of the shawls I have seen. WOW, Wow, WOW. What an awesome kit! I love it! I can't wait for the next swap I had fun geeking out on all the fun I had making the kit I sent out and receiving my kit. Did I say I was excited! Thank you again Genevera! (Jamie) You Rock! 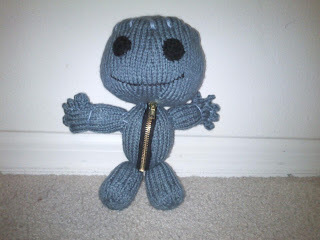 I made my friend Jessica a sackboy for her son. 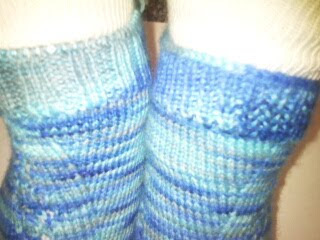 I think I am addicted to knitting them. He was so much fun to make. I wonder what his name will be? 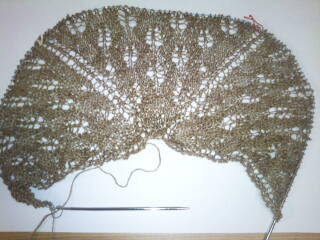 I'm well on my way to getting my Annis shawl finished. 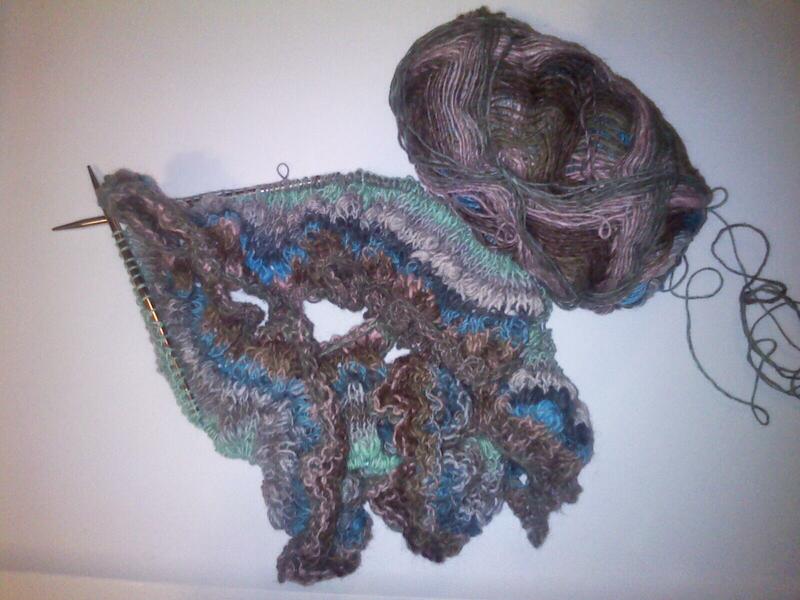 I checked on ravelry and I am amazed some knitters are completing this shawl in a couple of days. I didn't enjoy the nupps at all. 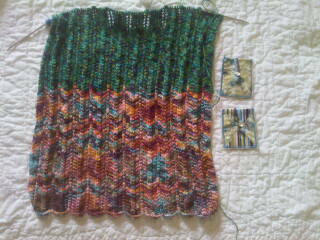 I am now starting on my short rows and then will have another skein out of my stash! 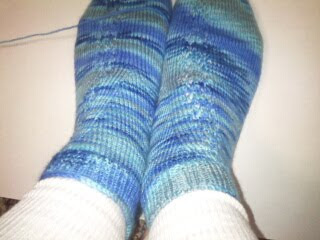 I will be working hard at getting some of my stash yarn knitted up, as it has grown over the summer. Yikes! I do enjoy looking at the cakes sitting on my shelf. It's kind of Artsy looking! 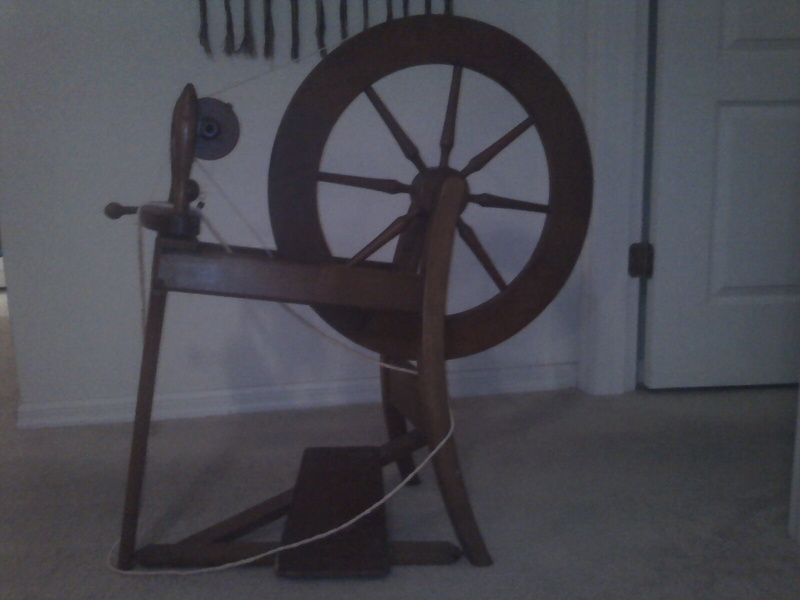 I got an Ashford Spinning wheel today at a festival in Ocala! Barbra is my spinning wheels name! I named her after the wonderful lady that sold her to me. She took the time to talk with me about spinning and may I say her spinning was top notch! 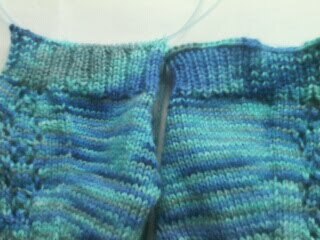 Both skeins were very even. I still need to get more bobbins and a lazy Kate. Maybe I can get my wonferful husband to build me one. 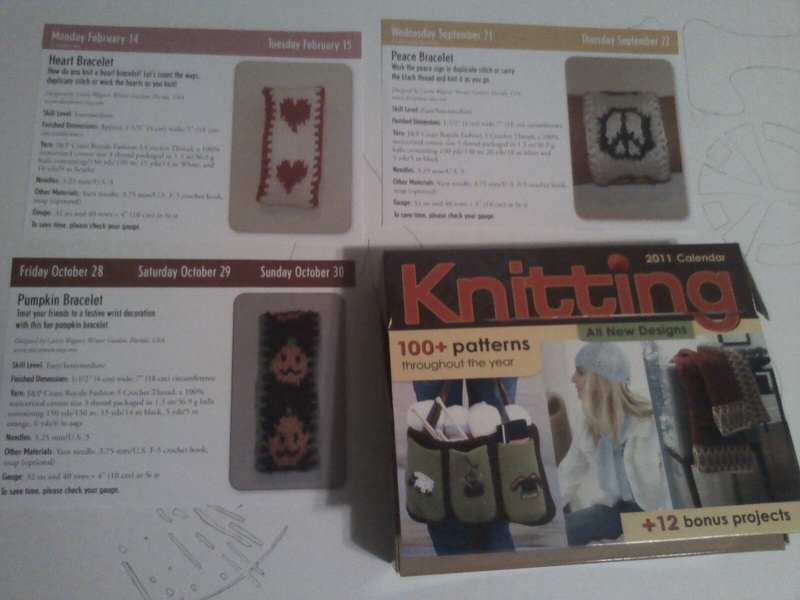 I am very excited to start another craft! Thank you Barry! You are a wonderful man to support my fiber craziness! I love you! I knew one day I would need glasses. 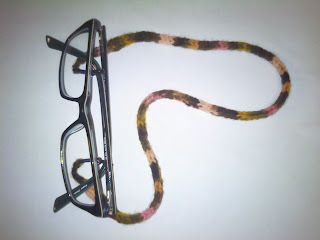 I also know glasses always fall off of my face, so I made some eye cord in my Storied Yarns "Last Olympian" colorway. I love it. 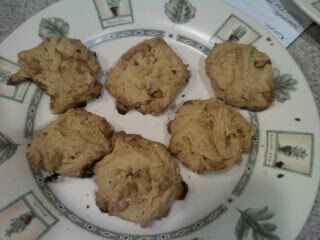 I must make more. Also, my favorite yarn shop Storied Yarns has another shop on the Art Fire site. Check it out! She has some really nice spinning fiber as well. 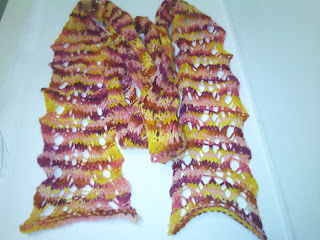 My Summer Girl Scarf is finished and blocked. I will be wearing it today even though it will be 83 degrees. 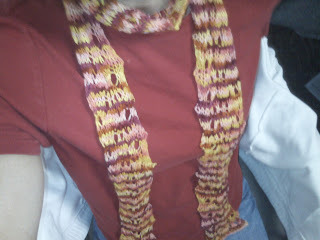 I finished this scarf on my trip to see the fall leaves. 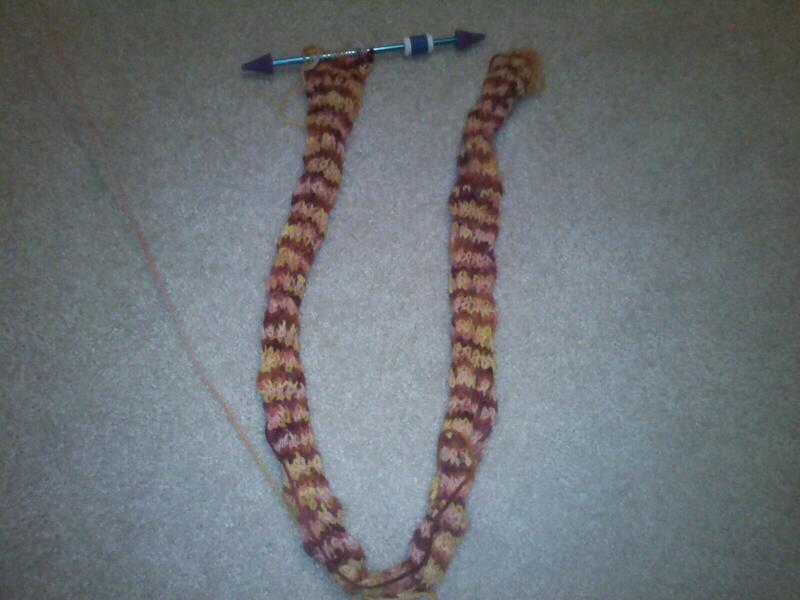 It was fun knitting the colors I would see in the leaves. Well here it is. This was a project that you had to pay attention to every row. It kept my interest that way. 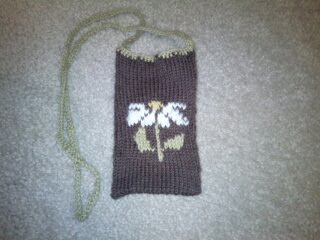 It was not a tedious knit. Now I must either decide if I want to make fingerless mittens to go with it or a hat. 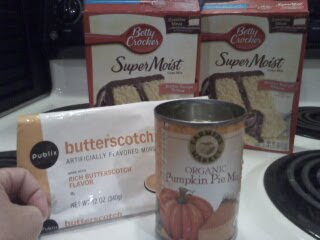 Hmmmm.. We shall see. 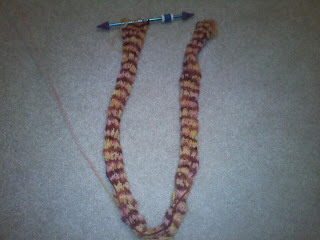 Here is a scarf I am working on for a KAL I am doing on Ravelry in the Storied Yarns group! It is 46" so far. I hope to have it finished this weekend. Look! 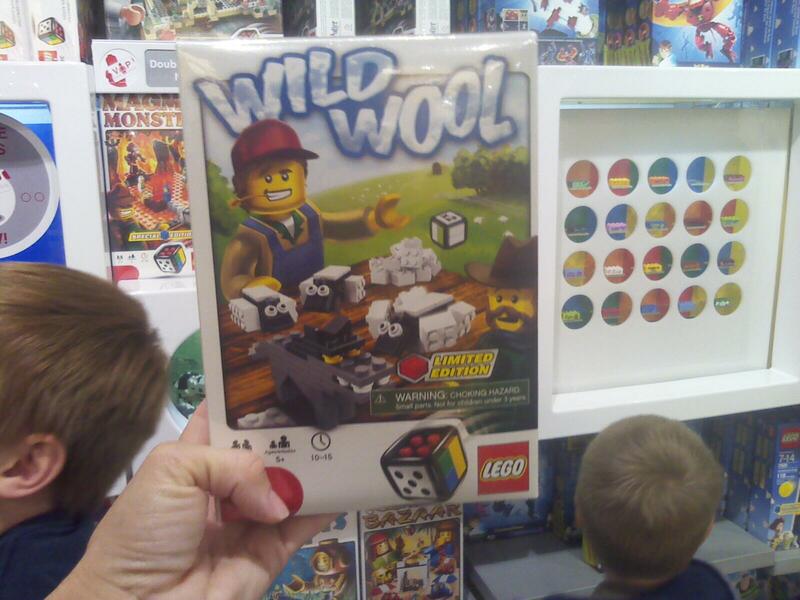 A lego game that would be fun to play! It is made of wooly goodness! It has sheep in it! My kids even told me...hey mom this is a game for you! Maybe santa will bring me one for Christmas! I love how my knitting project has jewlery now! 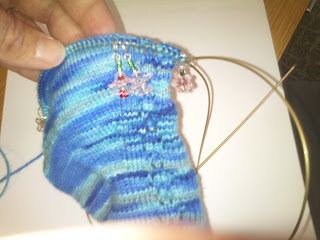 My stitch markers are beautiful jewels dangling on my sock! I love it! I've been RAOK'D! My first stitch markers! They are so awesome! 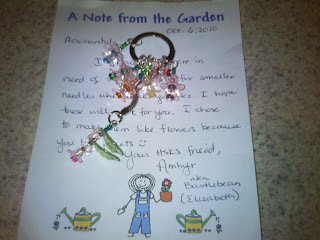 I love that Ambyr (Bartlebean) made them and they are flowers! 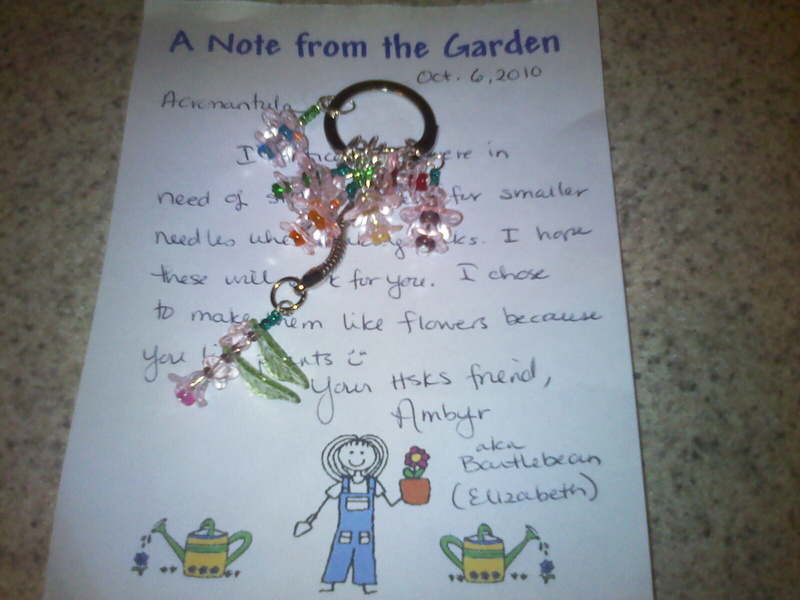 Thank you so much Ambyr! My HSKS friend! I hope you enjoyed my answers! My First Handspun Yarn Made By Me! 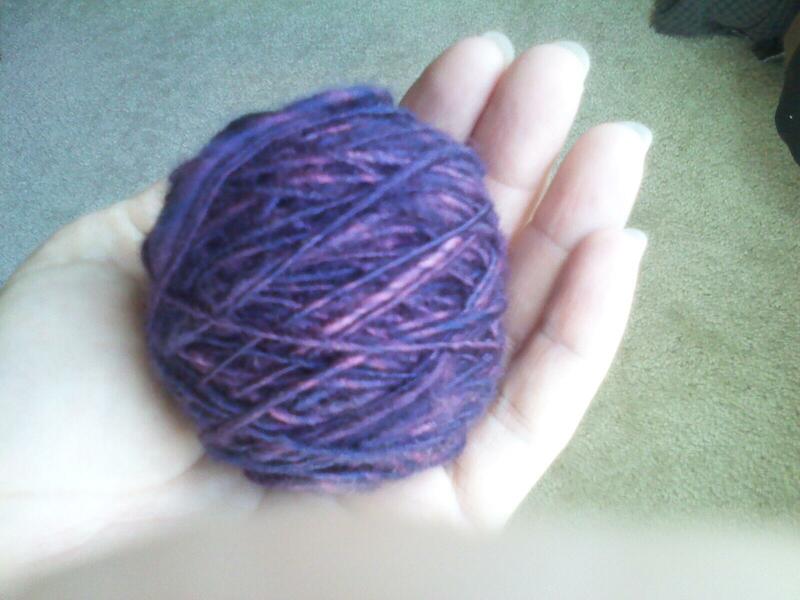 My first 30 yards of my own hand spun yarn! Now I need to decide if I want to ply it. I couldn't believe there is only 30 yd. out of what I spun. it seems like there should be more. Next, I need to decide what I could make with a small ball of yarn. Any ideas? I got this new Drop Spindle at the Florida Fiber In! 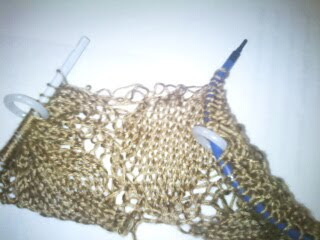 I am enjoying learning how to spin fiber into yarn. It will be awesome to make something from it. 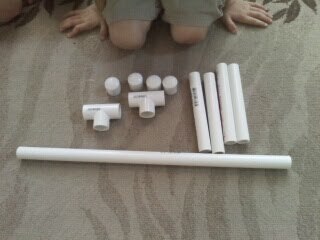 It will be completely handmade! Thank you Barry for getting it for me! I love you so much. You are a wonderful man to support me in my fiber habits! I thought you would enjoy a video that I thought was entertaining. I hope it has entertained you! The second video is really cool and the lyrics are very funny. I have enjoyed all their videos. They are very clever! For Week 2 of the HSKS swap, I was asked what 5 things would I not leave home without if I were going into hiding, and WHY. 1. An Alpaca- Because then I would have fiber to spin, or to use to make many things. 2. Sissors- I would need a way to get the fiber off of the Alpaca. 3. A comb- To comb out the fiber to get ready to spin! 4. 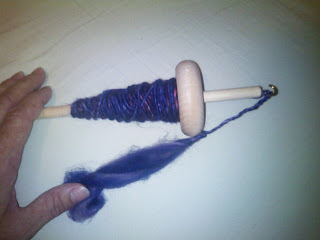 My drop spindle- to spin the yarn. 5. 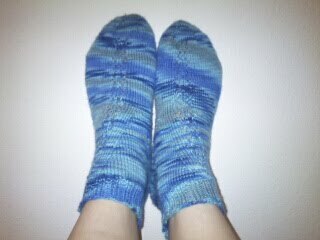 My Addi Turbo Clicks- to knit my handspun yarn. 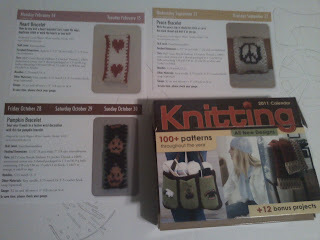 Three of my knitting patterns were published in this knitting calendar! I am so excited! Whoo Hoo! It came today! My yarn from Storied Yarn! Our first assignment is to get to know those in all the Wizarding Families. Here are the questions I needed to answer. Someone with the same craft as you is Sinknitty. I knit, crochet, and sew. Someone who was born in the same month as me is Kauraqt. July. Someone from a different country is AnnKingstone.I'm from U.S.A.
A new HSKS Family member is Mrsmama. Me too. Someone who has been in 3 or more HSKS swaps is Girlywithatwist. Someone who has a bigger stash than you! (And if your stash is the biggest, proudly say so! is Angel101580. I have a small stash. Someone who both knits and crochets is LAFisher. Me too! Someone who has the same favorite color as me is Smartchick. Mine is Green. Someone who has the same favorite season/holiday as me is Bartlebean Mine is Spring and We share Christmas as the holiday. Someone who has the same favorite fiber as me is Cyancoment. It's Alpaca. I also found out that there is 3 of us that are twins in the families. Two of them are a set. I need to get my twin sister in this group next time :). There is also another member that has a son named Aidyn born in 2005, I have a son named Aidan born in 2005. It is fun to fin interesting facts about everyone! If only I could find someone that has Spring as a favorite season I would have my questions completely answered. I am going to be apart of the HSKS12 Swap! (If you are not on Ravelry you will not be able to see this site) I am in the Draco's Pure Bloods and Dark Arts Family! I am so excited. I like the Harry Potter story line and if I were to pick a character I really like it would be Ron. It may be because I like red hair. (I have red hair) but, I do like all of the characters just the same! I also don't have a favorite house. I like to cheer everyone on, except for today since I am now apart of a new house I will stick by my Draco Pure Bloods and Dark Arts Family! 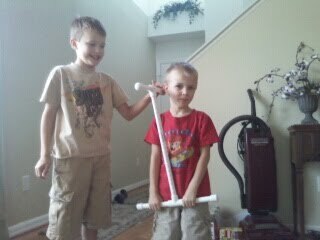 This is my wand I will be using to cast spells on everyone to have a good swap. I got this wand at the wand shop and it choose me! 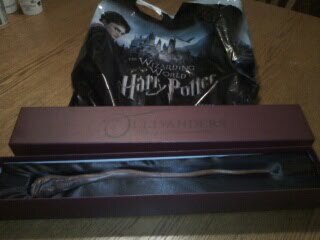 I picked it up just to see what they looked like, then when I found the store keeper they went right to my wand and handed it to me and said this is your wand. It was amazing! 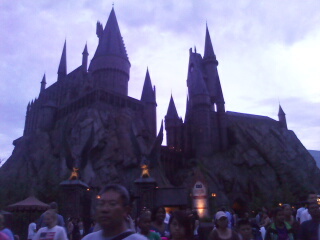 Here is Hogwarts Castle. It is amazing inside. If I get a chance soon I will go inside and take pictures. The have portraits on the wall where the people in them actually move. They have Butter Beer! The frozen one is the best! I can't wait to spoil my spoilee! I am going to have so much fun deciding what to get them! I Just Love This Yarn! Wow! 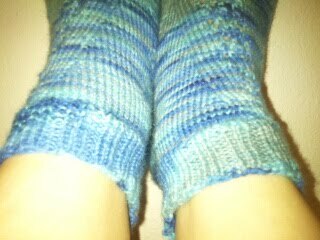 I just love this yarn. Yes! I am soliciting to everyone out there, if you would like to purchase this yarn for me it can be purchased at http://www.etsy.com/shop/storiedyarns I would be willing to mow your grass, or trim some shrubs or make something for you! I hope I have some takers! With Fall approaching fast I thought you may enjoy one of my favorite Fall Cookies! 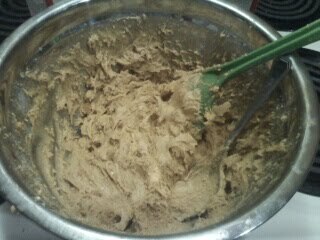 2 boxes cake mix, 1 bag butterscotch chips. Mix. This is good for your muscles! Bake at 350 degrees for 7-12 minutes. Finally a game I would be interested in! 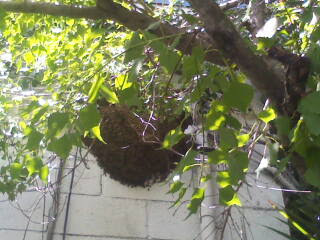 We are looking for a Bee Keeper in the Orlando area to rescue these honey bee's. This hive is on a side of a building. The honey comb formation is impressive! I hope they find them a new home. 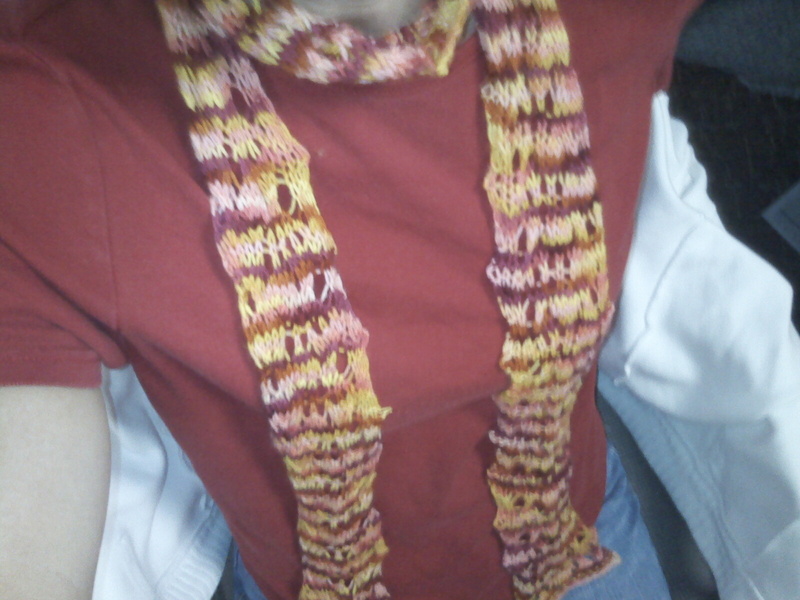 This is my Tikvah Shawl. All profits from the sale of Tikvah Shawl from now until the end of September 2010 will be donated to the National Alliance on Mental Illness (NAMI) in Minneapolis, MN. I have 20 more rows to do. I like how this shawl is coming together! It is also fun to knit! It's true, I am not perfect! and I will give everyone a tip. 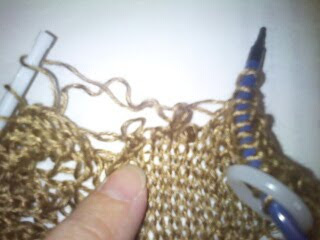 If you are knitting with Denise interchangeable needles, you may not want to knit tightly or this could happen to you! I tried to move my stitches and they would not slide. So I pulled a tad bit harder and Whamo! Thank goodness I was only 17 rows into this shawl so I wasn't that devastated! Seriously I don't think I can fix this! My Denise needles came apart and stitches just fell off! I don't know where the YO are that were dropped! MERCY! Guess I will start over. Rip! Now they are the same! I frogged the k1 p1 rib and made it like the other. I am so glad I did. I love them! This is one of the traveling shawls I am knitting! I am giving the wallets away as a small gift item. It is fun to be able to knit all the shawls and know they will be loved. I will definitely join more swaps in the future! On a side note इ apologize for my blogs foibles! I blog from my phone so I thought maybe this is why I am having problems. Well, I changed some settings on blogger. I hope it helps! 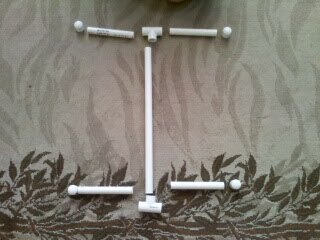 I made this Niddy Noddy for only $3.01 ! Thank you Jess for the tutorial! I finished the cell phone cozy for my friend. It was fun to make! One of these is not like the other! Ugh!